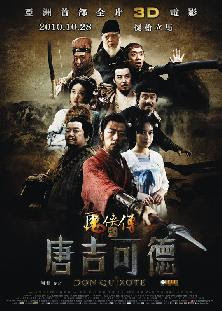 A fairly zany but enjoyable spin on the Cervantes novel, with delusional Gua Tao believing himself an invincible knight-errant out to slay dragons and rescue fair maidens. As fate would have it, he soon finds himself on just such a noble quest, accompanied by his trusty Sancho (Wang Gang), battling the forces of evil in the form of nefarious noblemen. Energetic and juvenile in the best ways, with enjoyably slapstick combat scenes.